Stand down, fanboys and girls. Nintendo is not getting into the smartphone game business. 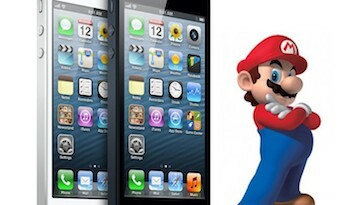 Contrary to what you may have read in the last day or so, Nintendo says they are not designing games for smartphones. The console-maker released a statement denying yesterday's Nikkei report claiming the big N would make smartphone "minigames" to attract mobile gamers to their hardware. "Nikkei's article contains information previously stated by Mr Iwata during past press conferences, including statements which relate to Nintendo's willingness to make use of smart devices to promote our products," Nintendo told Engadget in a prepared statement. "However during such past announcements Mr Iwata has also stated that Nintendo's intention is not to make Nintendo software available on smart devices and as such, we can confirm that there are no plans to offer minigames on smartphone devices." Investors, developers, gamers and pundits have all been waiting for Nintendo to announce some kind of major strategic shift to get their company back on track in light of their recently revealed financial woes. First there was a crazy rumor about a new "fusion" console. Based on Nintendo's statement, it sounds like this report is an attempt to predict what Nintendo's plan before they even know. Its safe to say that Nintendo is going to do something that they hope will change their luck. Based on the company's history, though, I think its pretty clear that the only people who know what Nintendo is thinking are the people working there.